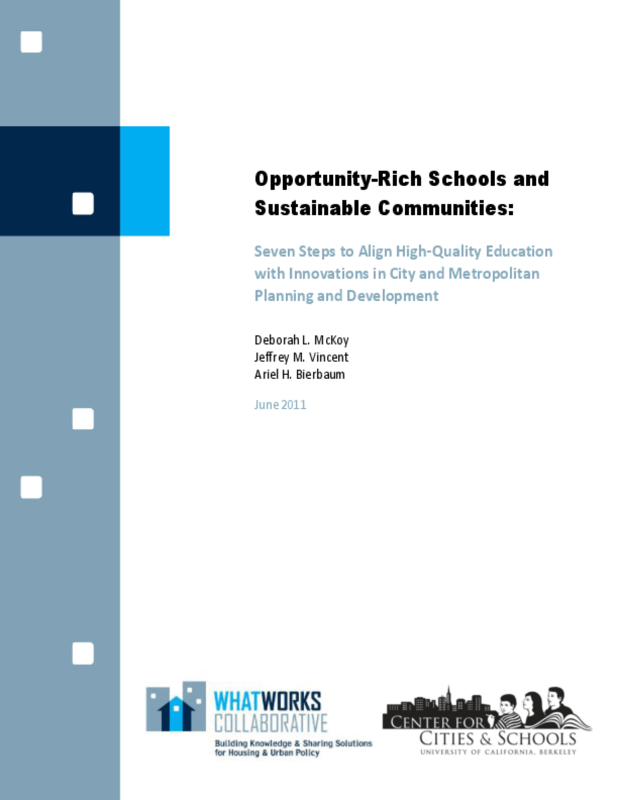 Details challenges and steps for linking quality education and community and economic vitality, including establishing a shared vision and metrics, aligning investments for prosperity, and expanding access via transportation. Lists promising practices. Copyright 2011 Center for Cities & Schools, What Works Collaborative.